Improves balance, endurance, strength, and stability in individuals. Comes in 3 sizes with different heights. Padded bottoms prevent slipping on floors. 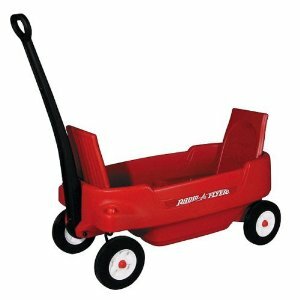 Sturdy and durable for up to 220 lbs. Does not support over 220 lbs. One package comes with just 3 hills, compared to Gone Stones that comes with 5 pieces. This is the summary of consumer reviews for Gonge HILLTOPS. The BoolPool rating for this product is Excellent, with 4.70 stars, and the price range is $124.00-$138.00. The tried and trusted Gonge brand has created a fun and vigorous active toy for children, and the Gonge Hilltops can even be fun for the whole family. While the price is steep, so are the various hills that children and adults can hop on, step on, and move around, practicing balance, endurance, strength, and more. 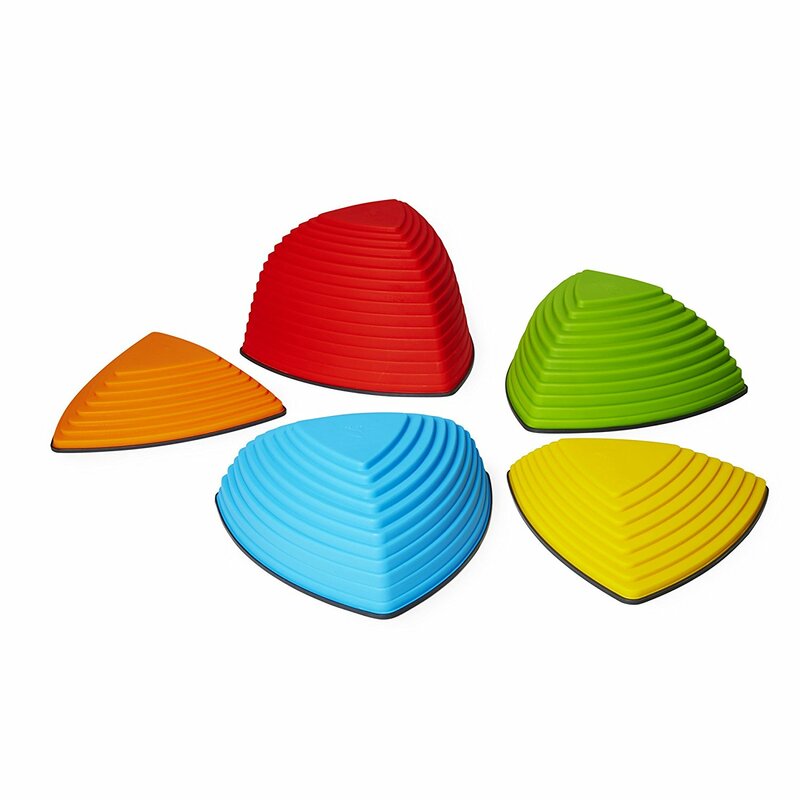 This product encourages imagination, as children can use the hilltops to create a world of their own, or allows them to get in a little exercise or practice balance. 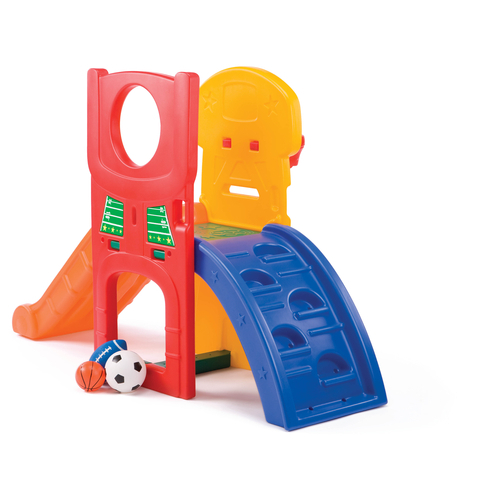 Not only is the toy fun for the whole family, but it is good to use both indoors and out, with slip-resistant bottoms for hardwood floors, and strong but easily cleanable plastic for outdoor use. Customers rave that this product supports a variety of weights, and is even usable with adults. The color scheme is fun for children, and the heights and sizes of each hill vary box to box. Some struggle to choose this product over similar ones on the market because of the steep price. Some believe that just three hills for more than $100 can make it a tough decision. However, those that have to believe this product is more durable than any other and lasts a lifetime. Some users say their children have used the product for years and never get bored with the possibilities. The Gonge riverstones have been a spectacular interactive playset that the boys can use together, with friends,indoors and outside. The Gonge riverstones have been a spectacular interactive playset that the boys can use together, with friends, indoors and outside. I really wanted to give this item 5 stars. We also use these outside in the same manner that we use them indoors. As an added note: only 3 of the 5 Hilltops are larger than the largest Riverstones (Riverstones can be purchased separately). The riverstones are also significantly cheaper. I feel really bad about this purchase. These were purchased for a special needs 3 year old to use indoors for practice with balance and color identification. Our children and neighbor friends -aged 3 thru13- also use these. I bought it as a complement to our Gonge riverstones set. Very sturdy - don't slip on our hardwood floor - and can even hold my weight. Heavy duty and quality product. These stepping "stones" offer a fun way for them to work on their balance while at home. Good quality and helps with coordination. A bit more spendy than I'd have liked - especially when I combined them with the stepping stones. But these are a very good quality, and can support a lot of weight. Very sturdy - don't slip on our hard wood floor - and can even hold my weight. In my opinion you can clearly see the difference in quality. I was able to show them how to step from one stone to the other. Gonge are more sturdy for sure!!. Buying the gonge brand is work it. Great fun for indoors and outdoors, we love love love love it, we make up many games with this, we have the hilltops and the river stones. Great fun for indoors and outdoors, we love love love love it, we make up many games with this, we've the hilltops and the river stones. My granddaughters love to climb on these, indoors or outdoors. My 2 year old granddaughter loves these and calls them "river rocks". LOVE these riverstones for summer camp activities in a climbing gym. My 2.5 year old loves these. Great for all ages, even the staff loves them!. They're a little big for her and she needs help with the tallest one, but she loves walking from one to the next and then rearranging them. He'll arrange them and climb, and he uses the big red one as a step stool to get to the sink, sometimes. He's this set + the river stones (the orange and yellow are duplicated between the two sets). 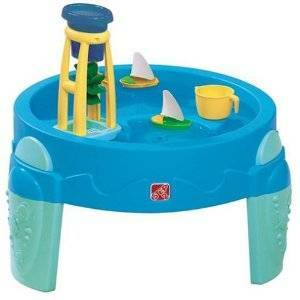 It's a excellent item for developing balance and eye hand coordination. helpful with balance BUT still fun. Definitely recommend playing bare foot as it seems to help our son stay balanced. Great for getting kids to work on balancing skills and using up excess energy. These gave him a designated place to climb and balance so he felt less compelled to balance on the back of the couch. Great for strengthening balance and using your imagination. The hilltops are nice and sturdy, they're not slippery, and they stay in place. These would be great for any child, whether they'd balance and coordination needs or not. The mounds are well constructed and the rubberized bottoms keep them firmly in place. The bright colors are enticing and the rubber grips around the bottom edges seem well made. Challenging, engaging and lots of fun. Pro:The kids like jumping and climbing on them. The kids love walking over these. 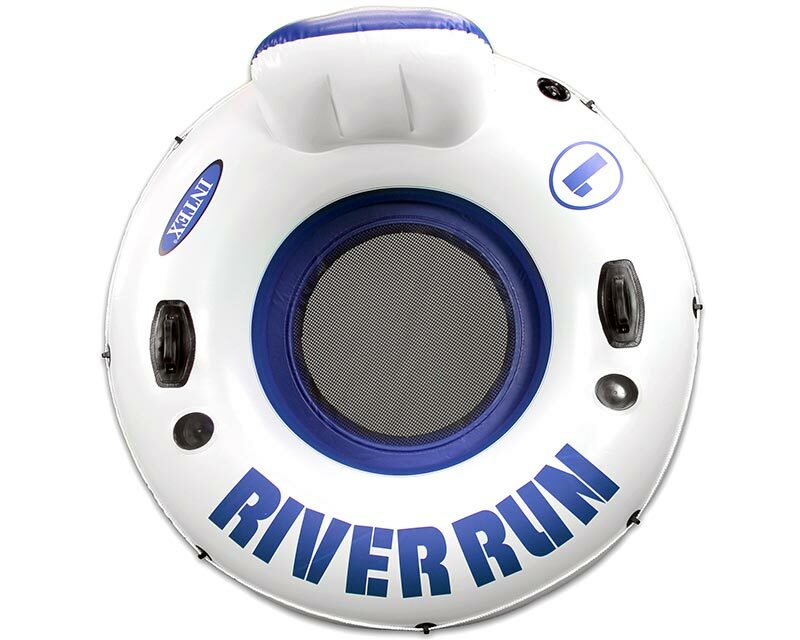 Challenging for kids, and they really like to use them with the gorge river. The kids at daycare have tons of fun. My kids, ages 6, 4, and almost 2, all really enjoy these and the riverstones. My kids enjoy walking on them and challenging each other on speed. bought these in hopes that my toddler will climb and jump off these instead of his small chairs and to keep the kids active during poor weather. This can be used for kids 2 and up. They're a kid magnet in my gym!. They're so simple, but they let kids use their imaginations for fun, physical play. Little kids and teens love to play on them. The kids LOVE these things. 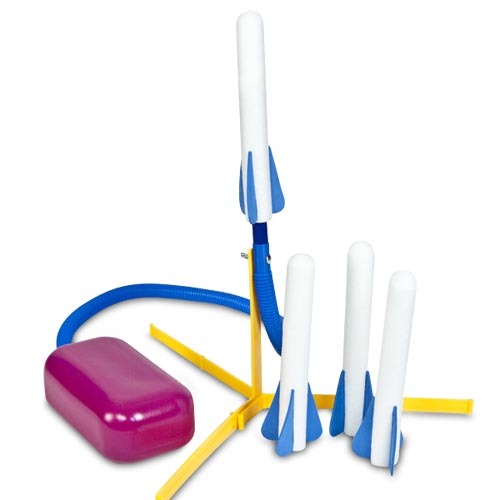 The kids love these ndthey provide lots of fun practice for coordination and balance. 3 years later, and the kids are still playing with them. They're made from solid plastic and army kids love them! He absolutely loves these and plays on them daily. I love these Hilltops and so do the kids. The kids play all kinds of silly games with them and jump back and forth.